The doctrine of the 'separation of powers' maintains the independence of the three 'arms' of government, the Parliament, the Executive and the Judiciary. The Executive appoints judges, and the Constitution limits the powers of removal by requiring the Parliament to act also. 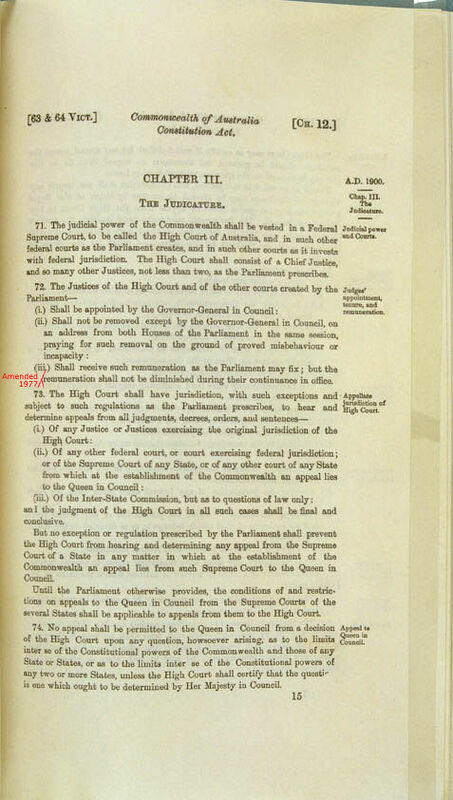 There was no provision a retirement age and this amendment to Section 72 introduced a retirement age of 70 years for judges appointed by the Commonwealth.